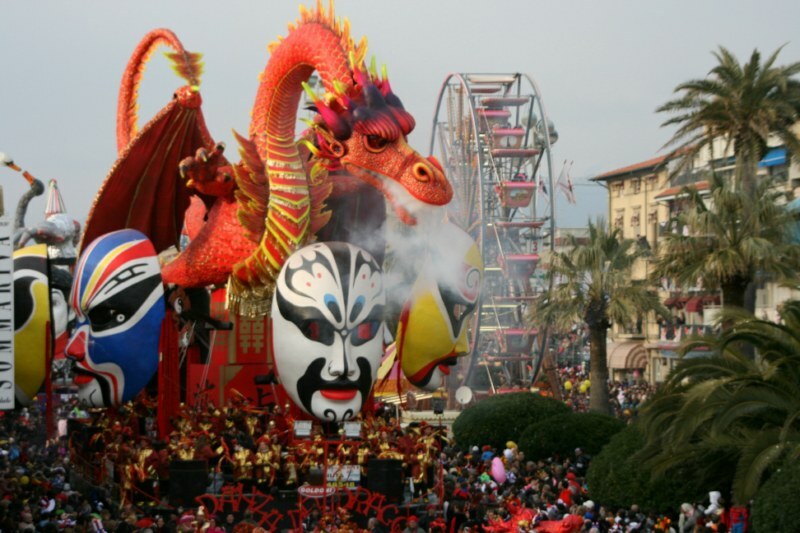 One of the most beautiful Carnivals in Sicily is the tradition of Acireale which was first sawn in the Renaissance (first official documents about the celebration date back to 1594), which makes it also one of the most ancient Carnivals of the island. 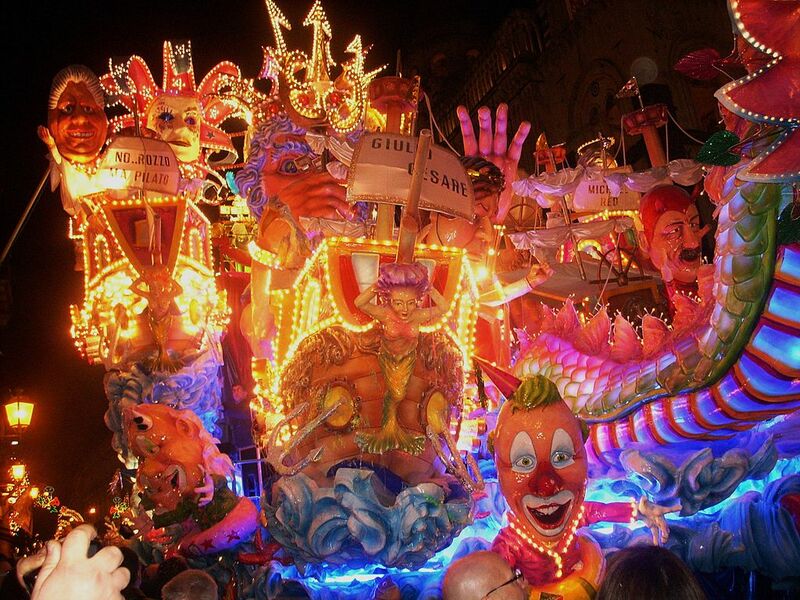 The baroque historical centre of this lovely town, in the province of Catania, is the heart of the tradition where parades of finely-crafted and decorated allegorical floats made of papier-mâché are organized and acclaimed by crowds of people of all ages. Breathless movements, thousands of lights, mutant backgrounds: the perfection that float artisans reach is absolutely stunning and requires an all-year work, as well as enough irony to meet the goal of mocking the most famous politicians and members of the star-system of the year. 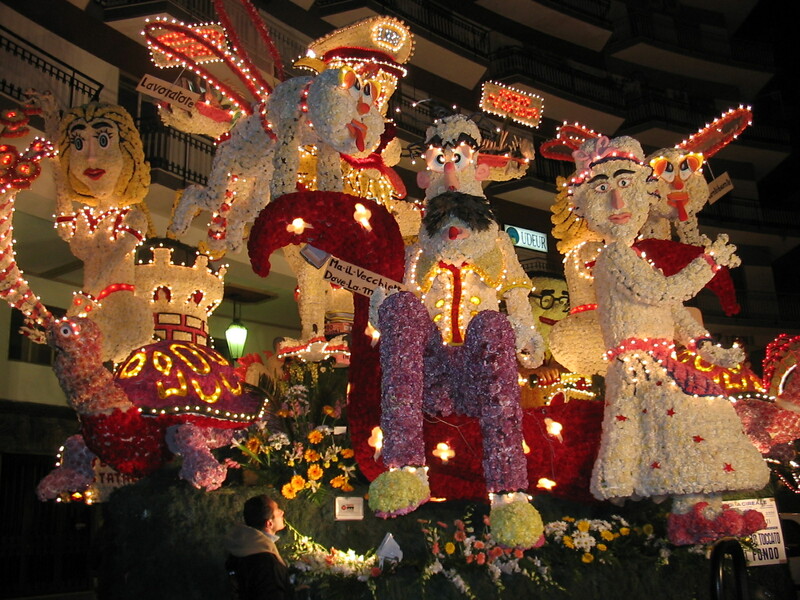 Other beautiful floats are decorated with cascades of flowers creating portraits and embellished by wonderful lighting systems – which is why night parades are the most attended and sought for. A shorter, yet interesting, version of this staggering and lively celebration of priceless artistic value is repeated during summer: if you are staying in Catania Sicily or Taormina during the beginning of August, we definitely recommend a visit to this beautiful city – you’ll find that the extraordinary floats are displayed in the main avenues and squares of Acireale.